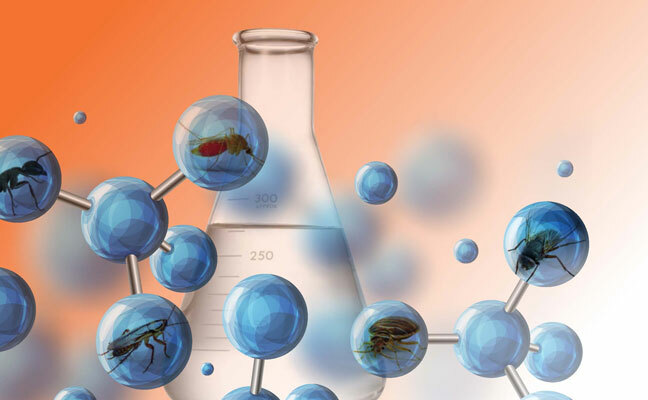 The National Pest Management Association’s (NPMA’s) PestWorld 2018 event is just weeks away, and along with pest management professionals (PMPs) worldwide, our team is looking forward to seeing, learning and experiencing all that the conference has to offer in sunny Orlando, Fla. To get a sneak peek at the new active ingredients (AIs) and other chemistries implemented in the integrated pest management (IPM) strategies that await us at PestWorld — and beyond — we spoke with nine leading chemical manufacturers and formulators. Read on for announcements of their new products on the market, new technologies in the pipeline, and what they and their teams predict the future will hold for the professional pest management industry. RECENT INNOVATION: The most innovative product we’ve recently launched for PMPs is Nuvan Directed Spray Aerosol. It’s a very important product for bed bug control, and it’s even effective against bed bug populations that have developed resistance to pyrethroid insecticides. It contains the AI dichlorvos, and controls all bed bug life stages — egg, nymph and adult — both as a contact spray and through the resulting vapor action. This is especially important for reaching void areas, like those in boxsprings, headboards and bed frames, that cannot be directly treated. 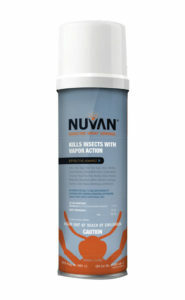 As bed bug invasions have had a resurgence in the past few years, the use of effective products like Nuvan has become more important, particularly for dormitories, hotels and other communal living situations where infestations can spread and worsen overnight. NEW LAUNCHES: We don’t have any new launches planned that we can discuss just yet. We will prominently display Navigator SC at our PestWorld booth, however. Navigator SC contains the AI fipronil, which can eliminate ants and termites while protecting against future infestations. PREDICTIONS: As we look ahead, new AIs are becoming increasingly difficult to develop — especially those featuring new modes of action, which is certainly important from a resistance-management perspective. That said, the pest management industry will undoubtedly be introduced to a few new AIs over the next five to six years. The question is whether these new AIs will become niche products, or possess a unique combination of characteristics that make them advantageous across a wider range of applications. Time will tell. New combination products — either dilutables or aerosols — definitely will be on the scene. Combination products are useful in three ways: 1) to broaden the spectrum of activity, 2) to reduce application rates, and 3) for resistance management. Although, for No. 3 to be true, both active ingredients must have activity against the targeted pests. Regardless, the most effective combination products can help PMPs and their customers save time and money. RECENT INNOVATION: In recent years, BASF has invested time and money in enhancing the application efficiency of Termidor through the introduction of the Termidor HP High-Precision Injection System. The Termidor HP High-Precision Injection System continues BASF’s commitment to innovation by precisely controlling the amount of termiticide injected into the soil, creating a more uniform treatment zone with minimal disruption of landscaping. The Termidor HP System uses a revolutionary application device to target the primary termite activity zones, while eliminating the need for trenching and rodding in most cases. To ensure accuracy and consistency, the injection system is equipped with a digital onboard computer that prevents over or under usage of termiticide by providing treatment readings within a tenth of an ounce. As a result, the success of the termiticide treatment is no longer reliant on the mixing accuracy of the operator. Instead, Termidor HP delivers the right amount of termiticide every time, while using water as a carrier for accurate treatment of structures. the recent success of the Fendona CS controlled release insecticide, BASF is taking this active ingredient, alpha-cypermethrin, and creating a next-generation pressurized formulation, PT Fendona pressurized insecticide. Suited for both maintenance and clean-out spray programs, it has quick knockdown for a wide range of pests like spiders, ants and other occasional invaders. It can be applied to a broad range of surfaces and has use sites for both indoor and outdoor applications, including food-handling establishments. With its broad and flexible label, PT Fendona will be the perfect choice for everyday use. PREDICTIONS: BASF believes that modernization of IPM solutions is the way forward. There will no longer be single products to control pests — but rather, a series of innovative new chemistries, technologies and pest management portfolio options to allow PMPs to have multiple ways to control pests. RECENT INNOVATION: Last year, Bayer launched Maxforce Fleet, a fipronil-based product designed to handle tough ant problems. Our customer feedback indicates that this gel product has changed the way PMPs do business. It targets the entire colony by using messenger ants to carry it back and feed to larvae and queens. Maxforce Fleet’s thick formula allows it to stick in some of the trickiest places, both inside and outside. Fewer callbacks, easier application and sustained results are just a few of the benefits our customers praise about this product. NEW LAUNCHES: We will be launching a new general insect control (GIC) product this year at PestWorld. It’s a workhorse product that was specially formulated for recurring, maintenance perimeter treatments. It features new formulation technology that stands up on complex surfaces like mulch, gravel and concrete — at an affordable cost per home. PREDICTIONS: We foresee a PMP’s toolbox relying more heavily on innovative product mixes to ensure more comprehensive coverage, like the “combined arms” approach that Bayer has defined for food handling and other complex environments. We also anticipate a greater reliance on “smart” technologies that increase efficiency and/or enable more targeted use of pest control products. 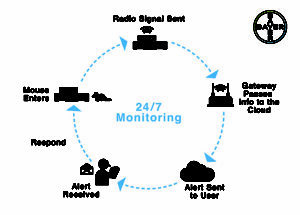 One example is the effective, predictive 24/7 Bayer Rodent Monitoring System. Smart technologies are transforming comparable service industries for the better, and we envision that same trend happening with the pest control industry. We are excited for the future of the industry, where we will continue to promote household and community health by mitigating the risks of pests. 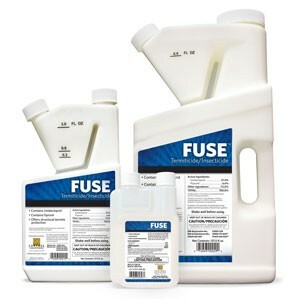 RECENT INNOVATION: Fuse, featuring CSI’s “Combination Chemistry” of fipronil and imidacloprid, has been available to PMPs since 2014. This termiticide/insecticide is primarily targeted at ants and termites, but is highly effective against many other pests as well when used as an outdoor surface application. Non-repellent chemistry featured in Fuse means insects and other pests don’t detect the product, so they readily pick up a lethal dose and can transfer the material to nestmates. NEW LAUNCHES: D-Fense NXT is a combination chemistry aerosol soon to be available from CSI. Containing deltamethrin, pyriproxyfen and novaluron, this aerosol will be a valuable tool in the fight against bed bugs as well as other indoor and outdoor pests. Proflex is another new Combination Chemistry product, available for mosquito management. CapVantage technology has been utilized to combine an adulticide plus two insect growth regulators (IGRs) to help manage mosquito populations in/around properties. With simple mixing instructions and trusted, proven active ingredients, Proflex can replace the need for multiple products while still providing excellent results. ⦁ The move to more environmentally friendly applications will continue, as well as the emphasis on protecting beneficial, non-target insects. ⦁ We also believe aerosol products will be important in the coming years. They allow PMPs flexibility and reduced exposure to concentrated pesticides, while fitting in with environmental consciousness, too. ⦁ We expect to see new and innovative bait materials, targeted at various pests, become even more commonly used by PMPs for the same reasons. ⦁ Last but not least, we believe Combination Chemistry products will become the norm, with relatively few products containing only a single active ingredient. 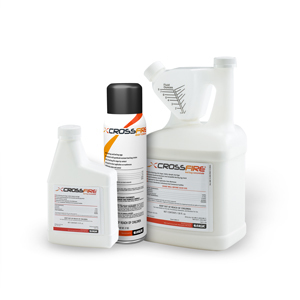 RECENT INNOVATION: CrossFire Concentrate has brought fundamental improvements to many of our customers’ bed bug management businesses. Its patented formulation, created by MGK chemist Dave Jeffries, allows for outstanding efficacy with no signal word. PMPs are able to treat more areas, including mattress surfaces, to ensure they hit all of the areas frequented by bed bugs. CrossFire has allowed many customers to eliminate one treatment from their protocols, while reducing callbacks. This reduces labor costs in a tight job market. NEW LAUNCHES: After more than five years of work on formulation, and overcoming regulatory challenges, MGK is launching an exciting new aerosol at PestWorld 2018. The genesis of this product was customers who wanted greater efficacy and convenience. We brought the idea to our research and development team, which got to work on a single aerosol that combines flushing, killing, residual and an insect growth regulator (IGR), with a broad label that includes food-handling areas. This will save our customers time and money; they’ll only need to apply a single aerosol, rather than both a flusher and residual. PMPs also will be able to stock fewer products and only carry one can onto a jobsite. MGK also has plans to launch multiple products in 2019, including a product that will be a game-changer like CrossFire. PREDICTIONS: MGK believes that the interest in IPM and green products will continue to grow, driven by changes in consumer attitudes and regulations such as the U.S. Food Safety Modernization Act. Monitoring technology will help PMPs deliver the right chemical at the right time. We have some exciting new AIs in the pipeline that will really improve our customers’ businesses. MGK will continue to bring genuine innovations to the pest management industry, and our experts will keep providing knowledge and insights to help our customers. 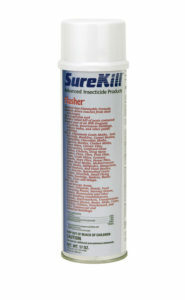 RECENT INNOVATION: SureKill Flusher is considered to be the only patented, non-flammable flushing and contact kill aerosol on the market. Its AI, pyrethrin, targets cockroaches, bed bugs and other labeled pests in both commercial and residential settings. The dry fog formulation also allows usage around potential flame hazards and sensitive electrical components. NEW LAUNCHES: We’re not yet at a stage where we can talk publicly about our product pipeline right now. However, we continue to receive great feedback on our growing portfolio of SureKill insecticides, featuring trusted and proven pyrethrum-based formulations. 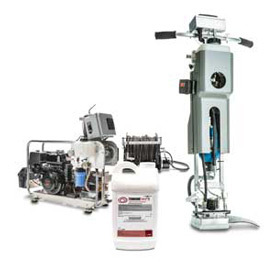 Our professional line includes aerosols (SureKill CT-511, SureKill Flusher and SureKill Total Release); SureKill Dia-Py Insecticide Dust; ready-to-use (RTU) liquids (SureKill SK50, SK100 and SK300); SureKill VAP-5 concentrate and the SureKill Liquid Pro Kit. Each product is specially formulated to effectively kill, repel and flush a wide range of flying and crawling insects. Last year, we also introduced the SureKill rodent line, whose products feature such AIs as bromadiolone, diphacinone and bromethalin. PREDICTIONS: The Neogen team continues to see a trend of more targeted applications, with an increase of professional pest management companies adopting IPM practices. Many companies are also testing green products as more friendly approaches to pest control, that require less U.S. Environmental Protection Agency (EPA) regulation at this time. We believe this strategy will become an even bigger focus moving forward in the next few years. areas of commercial kitchens where dirt and grease build up. Seven strains of microbes deliver powerful performance in an “eco-benign formula” specifically designed for breakdown of organic matter that builds up in commercial kitchens and food plants. Foam Fresh has a triple-action odor elimination technology that is ideal for commercial and residential accounts. Packaged in an aerosol can with a removable drain hose attachment, Foam Fresh contains non-pathogenic microbes. It is designed to treat heavy grease problems in drain lines, grease traps, grease interceptors and sewer lines. Its non-emulsifying surfactant softens and loosens grease rather than liquefying it, allowing bacteria to degrade a constant food source rapidly and eliminate odors. Foam Fresh is scientifically verified and validated with proven rapid degradation of soybean, canola and olive oils. PREDICTIONS: We will continue to see more precise applications for specific pests, and reductions in the broadcast of products affecting both target and non-target pests. This will allow for more targeted specialty services for PMPs. We also will see an increase in single-serve packaging that helps control inventory, ensures correct mixing ratios and reduces the risk of spills. For smaller pest control firms, this is very important for managing what they can afford to keep in stock. For technicians everywhere, it makes it easier to stock their trucks for the day’s work — as well as work faster, rather than spend a lot of time mixing what they need for each job. In general, as companies assess their expenses, they will find that single-serving packaging can save them material and labor costs in the long run. 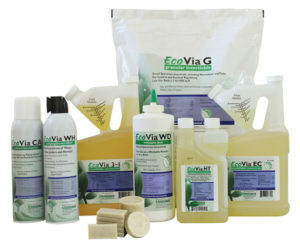 RECENT INNOVATION: “What is the most innovative chemical solution your company has launched recently” is a tough question, but I would have to say it’s our EcoVia broad-spectrum, research-based botanical range. Coupling our abilities in formulation chemistry, along with researching and understanding the modes of action of these essential oils, has led to product benefits well beyond what we imagined at the outset, and well beyond just the green status of botanicals. Some benefits include fast action, strong repellency, flushing ability, diverse modes of action for resistance management, and expanded use sites. NEW LAUNCHES: Within the next 24 months, we intend to launch additions to several of our core product lines. We anticipate launching InVade bio-sanitation products utilizing dry formulations, an additional InVict advanced bait formulation, and another EcoVia botanical formulation to round out that range. PREDICTIONS: The high development cost of bringing new synthetic chemistry to the market, relative to the market size, is no secret. For that reason, the majority of new development will be a spin-off from the larger crop agriculture market, as it has been for quite some time. At the same time, there’s growing demand for so-called “cleaner” and more bio-based solutions, thanks to changing demographics. I expect we’ll see some exciting advances in natural and bio-based chemistry, as well as bio-control, and advances in physical control techniques augmented with information technology. 50th year, we combined our technology for cockroach, drain and fruit fly, and stored product pest control into a convenient aerosol format: Gentrol Complete Aerosol combines the IGR (S)-hydroprene with lambda-cyhalothrin in a novel, one-step product that controls adults and immature insects — essentially eliminating present and future infestations. Both ingredients are EPA-approved for use in sensitive areas such as food handling in restaurants, hotels, schools and homes. NEW LAUNCHES: Combination formulations offer proven technology, combined with heightened effectiveness. We recently launched Lava-Lor Granular Bait for the control of cockroaches, crickets, silverfish, ants and more. It’s the market’s first combination of imidacloprid with hydramethylnon in a granular format, for indoor and outdoor perimeter and broadcast treatments. PREDICTIONS: Over the past few years, we have seen PMPs attempt to do more with less — using products with very broad labels. We foresee the market turning to combination products that are more pest-specific, to offer long-term control and offset costly callbacks.